No one ever becomes successful alone. 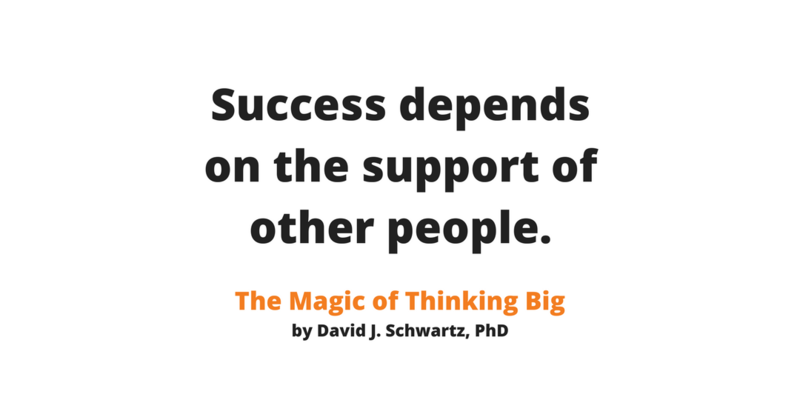 Successful people know the only way to accomplish more is to enlist the support of other people. So, they form a team or hire employees to help them reach their goals. But not every business owner achieves their goals. Not every business owner attracts the right people. And not every business owner motivates their team to do their best work. Think about it this way. If you are in a position of leadership, you must have people willing to carry out your instructions. Because you must produce results. If not, you will be removed from your position. You depend on the support of your team to remain a leader, and to advance to a position of higher authority. How do you get people to support you? By taking care of your people. Treat people right, and they will treat you right.